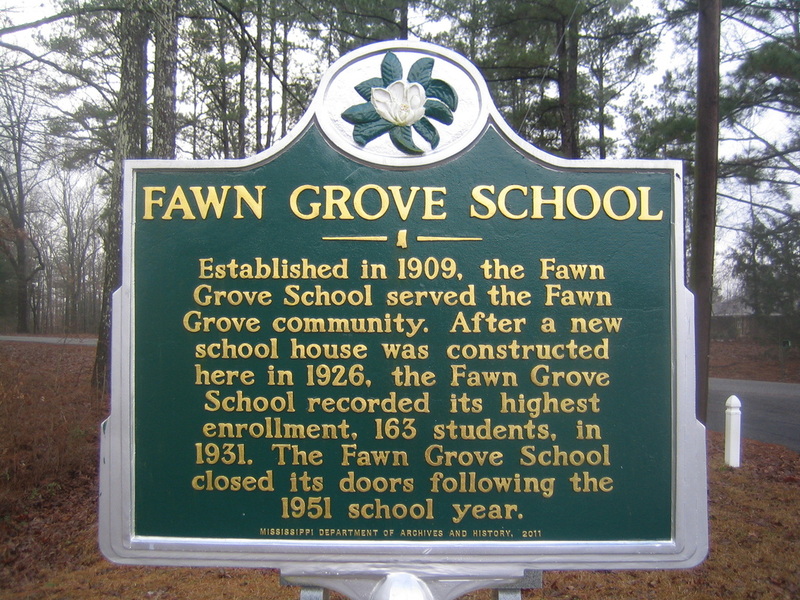 Established in 1909, the Fawn Grove School served the Fawn Grove community. After a new school house was constructed here in 1926. 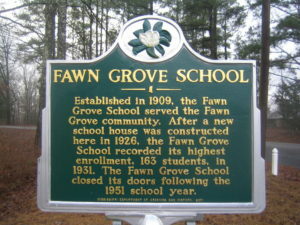 The Fawn Grove School recorded its highest enrollment which is 163 students in 1951. The Fawn Grove School closed its doors following the 1951 school year.